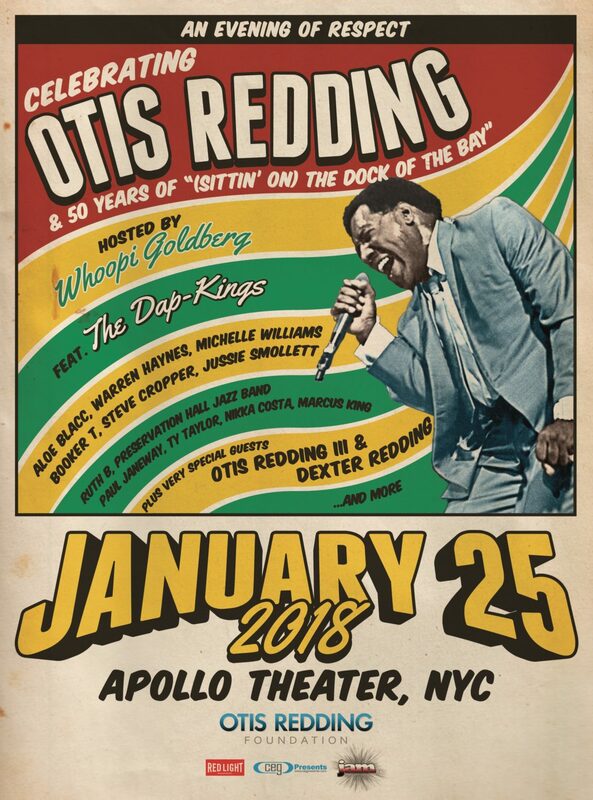 We are excited to announce that soul legend, Booker T. Jones, will be performing at An Evening of Respect: Celebrating Otis Redding & 50 Years of “(Sittin’ On) The Dock Of The Bay” at the Apollo Theater in New York City on January 25! Booker T. & the MGs were the Stax Records house band when Otis burst on to the scene. When asked if he remembered the first time that he met Otis, Booker replied “the beginning of the meeting was commonplace because it was just a cursory ‘hello’ – he was carrying in luggage for the band he was working for, just a gopher, really. Then afterwards he asked to sing and once he started to sing our relationship changed.” Booker T. would later record Otis Blue in a record 36 hours. He described the experience as “intense,” elaborating “Nobody was quite sure what was going on with him. He just seemed to be in a hurry. Not a hurry – obsessed. And we didn’t understand why. We just went along with it. If he wanted to go for 24 hours we just did it.” Then, one of the most classic soul records in history was born. “(Sittin’ On) The Dock of the Bay” was released 50 years ago today. And it almost wasn’t released.